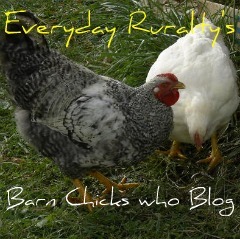 Today will be a bit different from the Barn Chicks who Blog interviews that I run each week. I have a wonderful interview coming up very soon that I'm sure you'll enjoy. The person I interviewed is part of a family that runs a large dairy farm. I've found her to be a remarkable young woman. I would have finished setting up the blog post about her, but last night I was busy being a Barn Chick. A very worried, sad Barn Chick. If you've been reading this blog for any amount of time, you'll know that I have a wonderful, handsome horse named Wendell. He was named after the incredible agricultural essayist and creative novelist, Wendell Berry. Mr. Berry is someone my husband and I would love to meet. 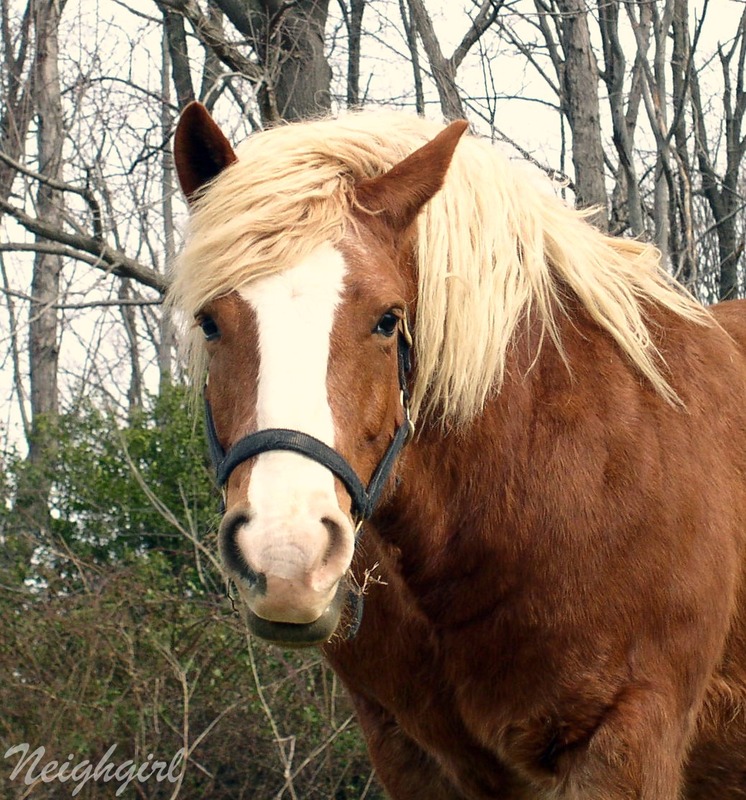 His name sake, my horse, is a nine year old gelding from a Belgian mare and Hafflinger stallion. A combined draft breed, in the Amish community, is called a "Half Chunk". Well, my half chunk is a full hunk. He's a very handsome horse and I've been smitten with him since he came to our farm from an auction. Wendel is the horse who is pictured on my sidebar, telling folks to follow this blog. I've had plenty of pictures of him and a few fun stories. I cannot write a fun story about last night. C.S. Farmer entered the kitchen of our farmhouse yesterday afternoon and announced, "Wendell is dying". My eyes flooded with tears as I grabbed some homeopathic medications and headed for the barn. Clouded with confusion and fear, I made my way to the barn to find him lying down in his stall with the stall door open. I was joined by my #3 daughter (D3), who is one of the most outstanding horse gals I've ever been privileged to know. She's amazing with all animals, but horses share the same blood with this child. She helped me give him some medication and bring him to his feet. That's no easy task since he weighs about 1400 pounds. After a while he was eating hay and playing quietly with his big yellow bouncy ball that was suspended by twine in the corner of his stall. I went to the house and knew I'd need to check on him soon. Less than two hours later, another daughter with tear filled eyes told me I needed to hurry to the barn. There I found Wendell stretched out, with his tongue hanging out of his mouth and a blank stare. With the help of C.S. Farmer, D3 and D1, we would not allow the horse to stay in the position he was in. If you let a sick farm animal stretch out with their heads down, they will die. I've seen it time and time again. We held his head up and talked to him. I stuffed homeopathic remedies in his mouth as the need for each kind was dictated by how he responded. D3 began to braid his mane. She was that determined that he would not die. She spent the next three hours braiding and telling him he had to get better. D1 held his head and kept him alert, all the while telling him that he could not leave us. He nipped at her a few times and we practically applauded something that would have normally been considered bad behavior. He eventually sat up straight, almost like a dog. I wasn't sure he could control his legs to get up any further, but a few minutes later he sprung to standing position. I clapped. I cried. I'm not sure I stopped crying the entire night, so I probably just switched to crying with joy. We had a call into our vet, who was on another farm call. I like our vet. He's a no frills, cowboy vet. The fancy vets who work on $50,000.00 dressage horses look down their noses at patients like my half chunk. At least that's been my experience so far. This vet would be helpful if he got there in time. A few hours after Wendell's hair-do was finished, the vet arrived. He told us that the horse had colic and gave him a shot that they always give for it and a sedative. He pumped a lot of fluid into his stomach and followed that with a gallon of mineral oil. He was very sick and showed signs that meant he had twisted his digestive tract. This is deadly for a horse. The vet said we had three options: a pricey emergency clinic for surgery, to wait the night and see what happens, or to euthanize him right then and there. The last option pained me to hear it. Every ounce of me hurt with those words. D1 said we should give him a chance. I agreed, but wondered if we weren't being selfish, but I needed to be just that and maybe he needed it as well. We left him in a grassy pasture near water. We wouldn't do that with laminitis, but that was the least of his problems. I kissed him and told him to fight. My tears, prayers, and I returned to the house. It was almost the next day as I collapsed into a sleep. Only sheer exhaustion could over-ride all of the thoughts of how hard it is when pets and friends pass. It was a very long time before C.S. Farmer came in to give me a morning report. I had been very allergic from the night before and I was hoping not to be out right away. He said that Wen was still alive, but quite sick. He administered a shot that the vet left, and noted some normal body functions that might have been a slight bit of encouragement. When he called the vet, he was told to let the horse keep fighting. That's what he's doing right now. We don't know what will come of this, but we love this animal member of our family. We will wait and we will pray. Any prayer would be greatly appreciated. I will keep you updated. I started praying last night and have been praying ever since. I am glad he has made it to this morning. If he is up that is good. He is only nine so I am sure he has a good chance to make it. I will continue to pray for you all too. Nothing worse I don't think that going through this. I know when I went through it and I still can't talk about it. Wendell is a very beautiful horse. I'll be praying that he stays strong!! I'm so sorry, Patrice. Wendell is a beautiful boy and I know this must be heartbreaking. Please let us know how he is doing, when you can. Oh, my goodness. This is such a difficult, sad, situation. I hope he pulls through. He is a well loved "half chunk." Oh sweet pea. That must have been a very difficult night for all of you. The twisted gut is SO difficult. Oh Wendell, our prayers are with you! My prayers and thoughts go out to Wendell and your family. It's very hard on people who love their animals like family members to see them sick. I would have given him a chance too! I will be saying many prayers for Wendell and for you guys. Love his name...I also like Wendell Berry's work and that of Dr. Alan Carlson. So sorry for all of you...we will pray. Bless your heart. You are doing all you can do; now it is up to Wendell and God. Prayers to you and Mr. Handsome, and your family! I realize this is an older posting, but I've only just found your blog. I so hope your horse pulled through. I nearly lost one of mine to colic once. I too was up all night, walking and walking and walking her. She pulled through, thank the Lord, but I was so scared.